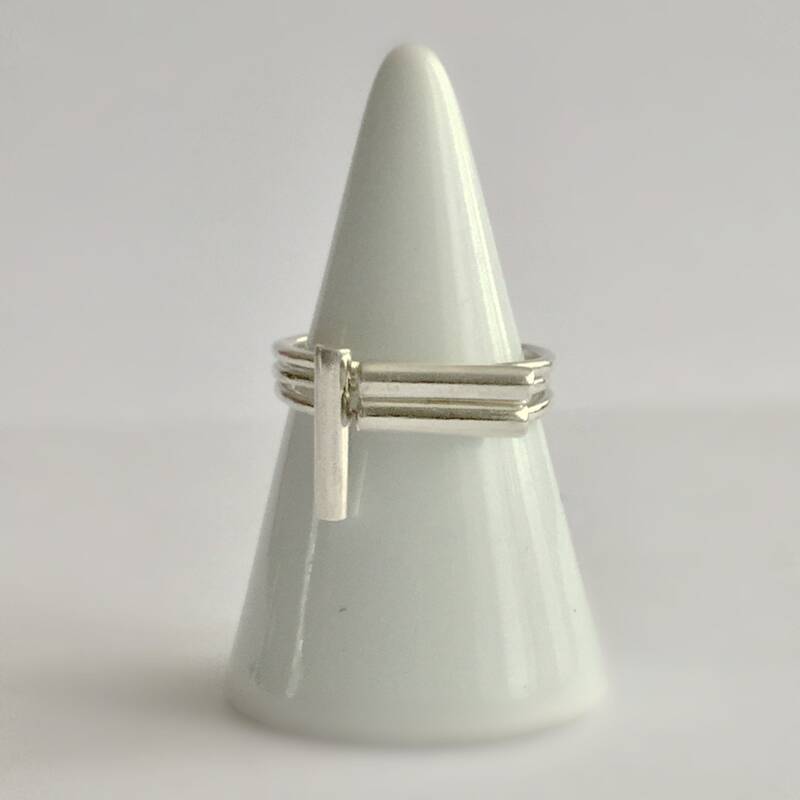 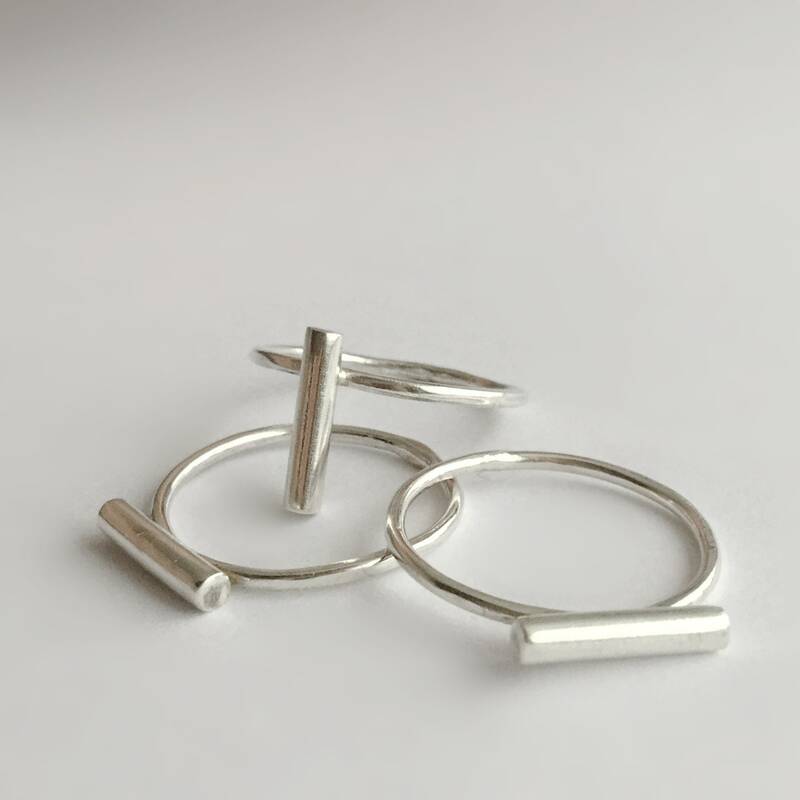 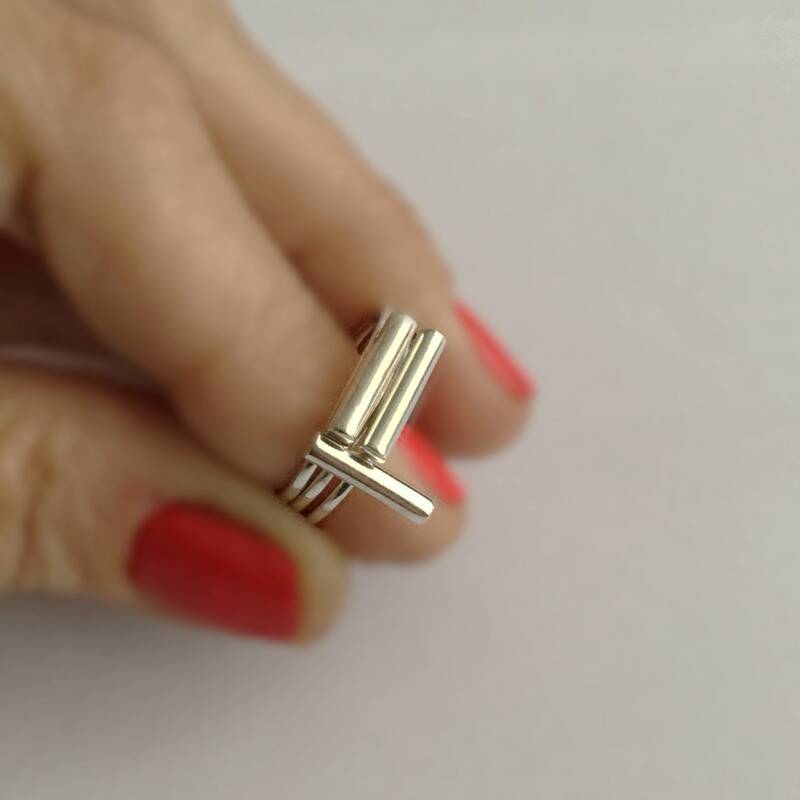 Great handcrafted stacking ring set with 2 horizontal and 1 vertical 10 gauge Sterling silver bar. 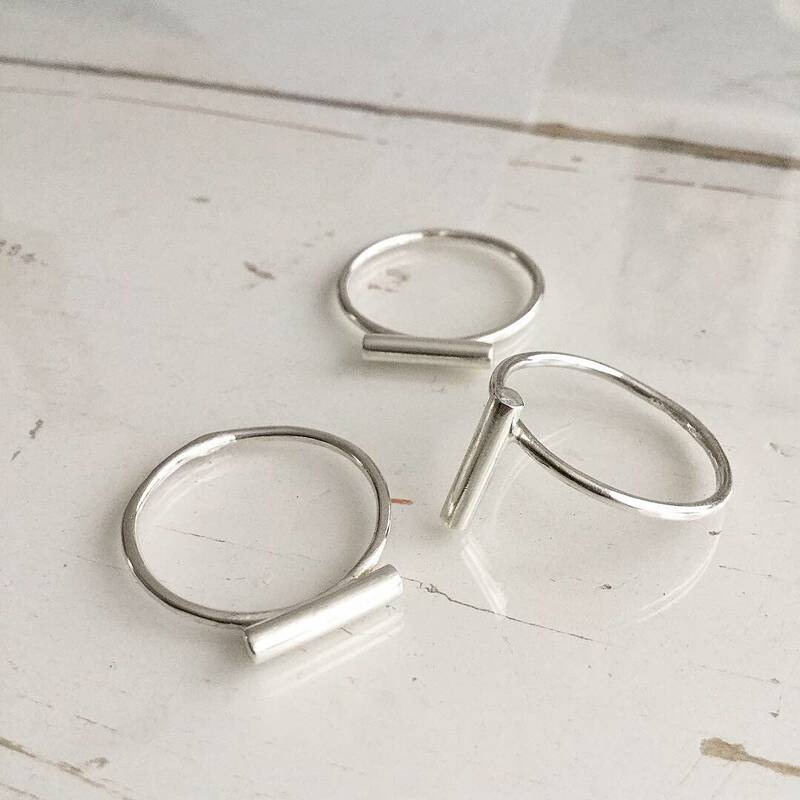 Wear them in any combo like they are or with rings you already own. 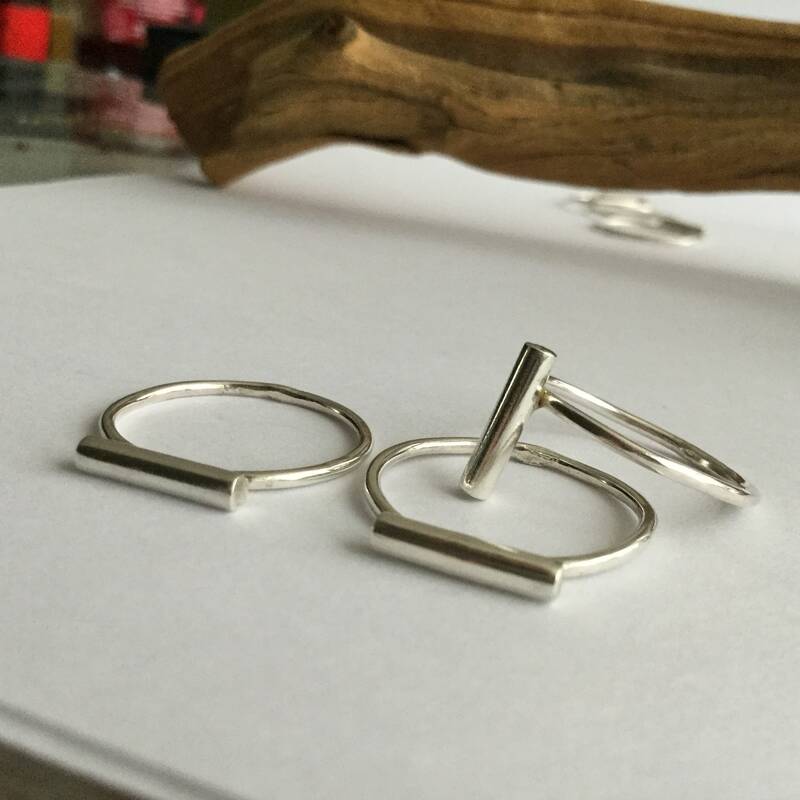 They are handcrafted individually and can be made in any size.